Is there anything better than finally being able to sit outside and knit again in the spring? How about sitting outside and knitting with friends and sipping cocktails, too? 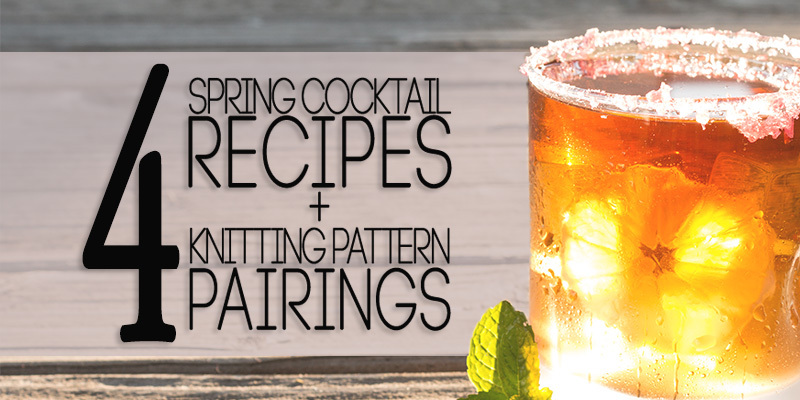 Alert the members of your knit night (or start one up yourself), make plans to start your first spring knit, and enjoy the warmer weather together with these 4 pattern- and pitcher-sized cocktail recipes to share! 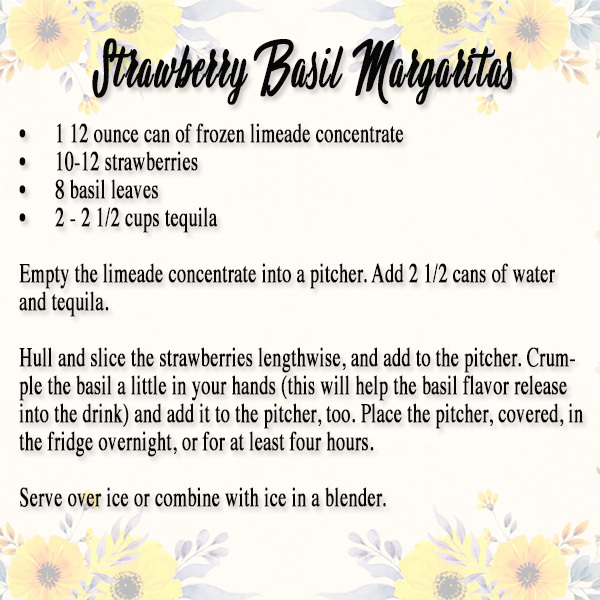 A little nod to the traditional margarita (affiliate link) is given in the name of this project, the Rock Salt Gansey. This intriguing combination of stitches features detailed texture embodied in a casual look. 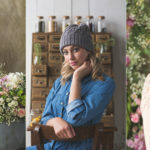 This is one of seven projects offered in the Farmer’s Market Knits story in the pages of Interweave Knits Spring 2019. Pairing this modern gansey with a Strawberry Basil Marg is just a reminder that tradition can stand a fresh makeover when its warranted. 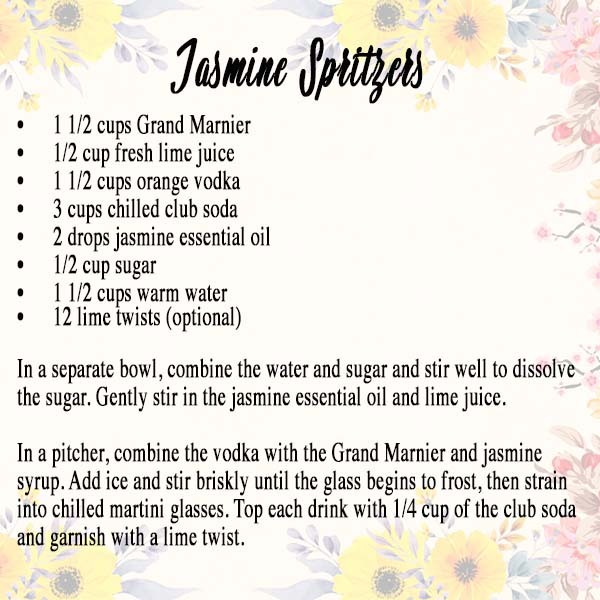 For a trendy and refined knitting night, pair the Runway Top with a classy drink like jasmine spritzers. You will find this eye-catching design in the 2019 spring edition of knitscene. Chevrons continue to capture as a timeless play on stripes. The Runway Top by Vanessa Ewing makes this popular motif attainable for any knitter in your group. This part knitted tee, part layering piece, all-snazzy wardrobe element will become your go-to office layer for those days that demand an after-work beverage. Is your knitting group more of the laid-back, beer-drinking type? 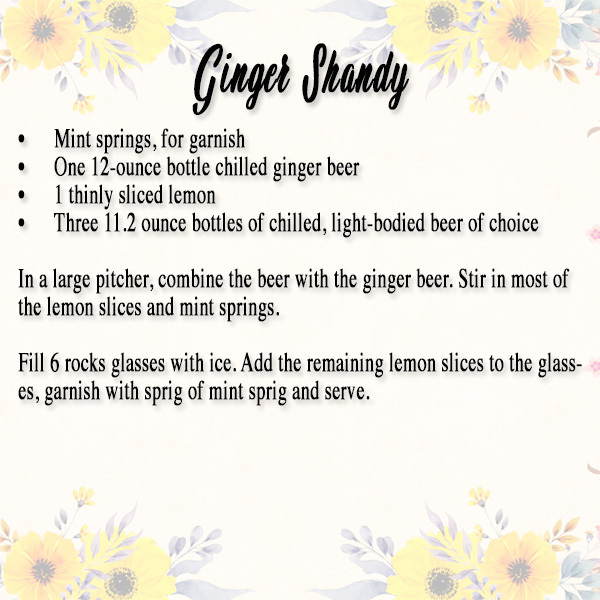 Start knitting a fun and simple knit like the Monterey Tee while sipping on some ginger shandy. This lovely, lacy knit tee features a beautiful allover twisted-rib lace motif; the simple construction allows you to relax and knit in a rhythmic pattern. Share some laughs while you sip and knit with this laid back pairing. Have a knitting group that loves shawls? 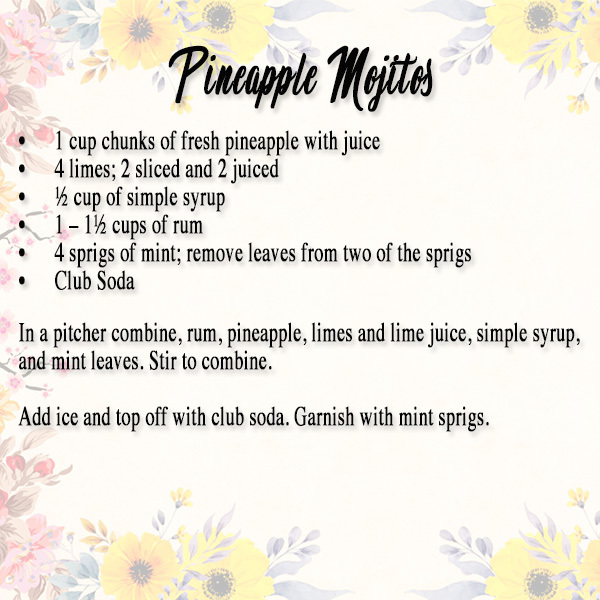 Cast on the Darjeeling Shawl during your knit night while enjoying some pineapple mojitos (affiliate link). 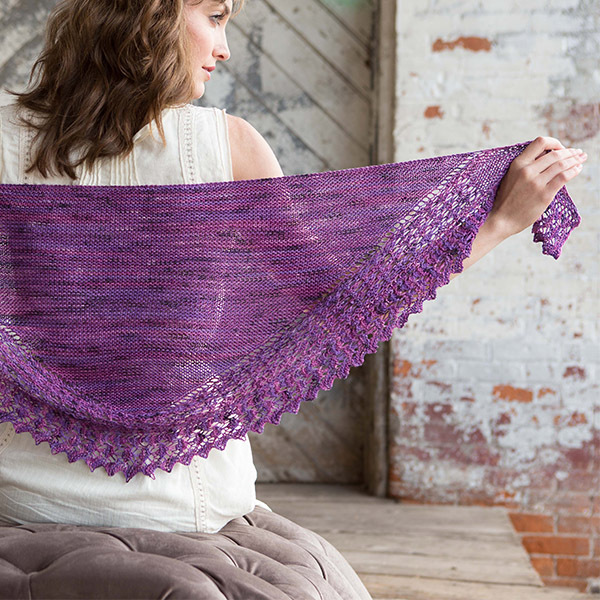 A perfectly light and drapy shawl for spring, the Darjeeling Shawl features ornate Shetland-style lace trim that dresses up a simple garter stitch triangle. Have everyone in your group choose their own color of yarn for a matching wardrobe staple to share. So raise a glass to spring during your knit night: the perfect time to share knitting and a drink with friends. Find these and other items perfect for a spring knit night in the sources below!